The four cryptograms contained in a book partially written by famous German author Arno Schmidt are among the most interesting I have seen recently. My readers have provided some additional information about them. I have been blogging and writing about crypto history for about 15 years now, and unsolved cryptograms have long been one of my favorite topics. Nevertheless, I had never heard that Arno Schmidt, one of the major German writers of the 20th century, had left behind four encrypted texts that are unsolved to date. 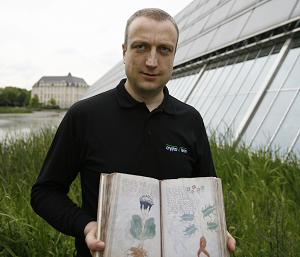 So, I was quite surprised when blog reader Rainer Boldhaus informed me about these cryptograms a few weeks ago. Of course, I wrote a blog post about the Arno Schmidt cryptograms, asking my readers whether they could break these encryptions or whether the solution was already known. Both seems not to be the case. Still, there is a good chance that the Arno Schmidt cryptograms represent real encrypted texts – they don’t look like gibberish and it is unlikely that they have some other purpose. As all four encrypted parts are included in text passages that deal with persons Schmidt knew well, it seems likely that he applied encryption in order to conceal information about these people. All in all, I think that the Arno Schmidt cryptograms rank among the most notable unsolved cryptograms existing, at least from a German perspective. I find it strange that this interesting encryption mystery has never been mentioned in the crypto history literature. As blog reader Thomas Bosbach found out, one of the few publications about this topic can be found in the Bargfelder Bote (issue March 1983), a magazine dedicated to Arno Schmidt and his work. 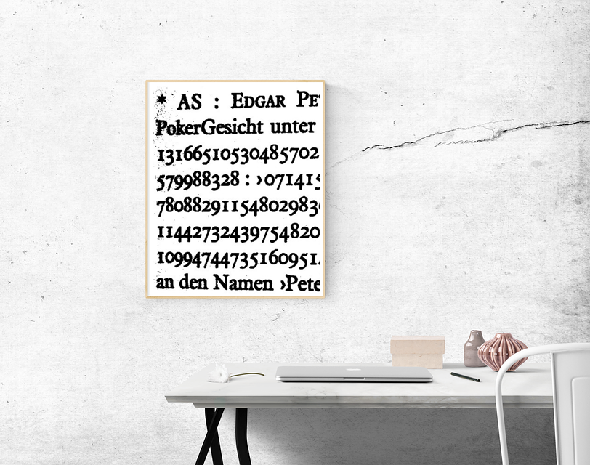 The Arno Schmidt cryptograms are contained in a memorial book titled Porträt einer Klasse. 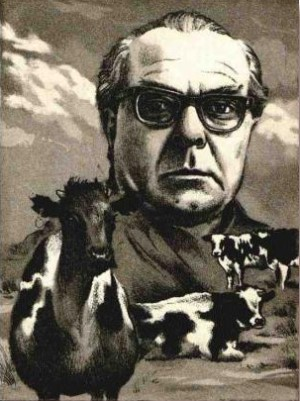 Arno Schmidt zum Gedenken published in 1982 by Schmidt’s long-time publisher Ernst Krawehl. Most of the content was written by former classmates of Arno Schmidt, but he himself was involved, as well. Schmidt died of a stroke in 1979 before the book was finished. Who has created the Arno Schmidt cryptograms? All four cryptograms are contained in parts of the memorial book Schmidt contributed himself. However, several readers have raised serious doubts whether it was Schmidt himself who created the ciphertexts. In fact, it seems possible that Ernst Krawehl, the editor, encrypted these lines in order to protect the persons the writings are about. Perhaps, this was even necessary for legal reasons. As Schmidt died before the book was published, there was no way to ask him to change potentially offending content. According to Rainer Boldhaus, Schmidt never showed an interest in cryptography. He was mathematically talented and had brilliant mental arithmetic skills. He invested a lot of time in creating logarithmic tables, which at that time had to be calculated manually. He even published essays on them. All his life he was interested in chess and astronomy. However, in spite of these mathematical and scientific interests, encryption never became a hobby of Arno Schmidt. This seems to confirm that he did not create the encrypted lines himself.